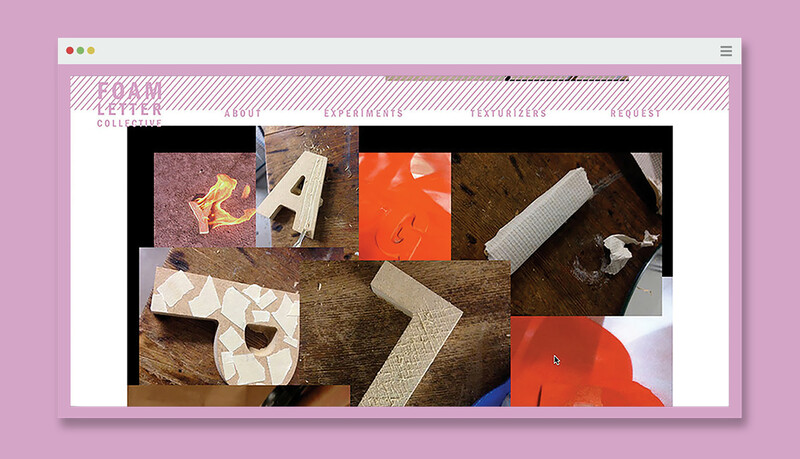 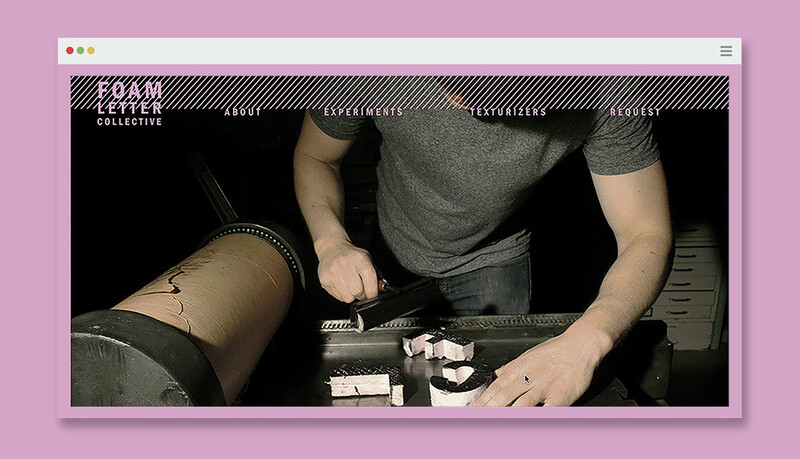 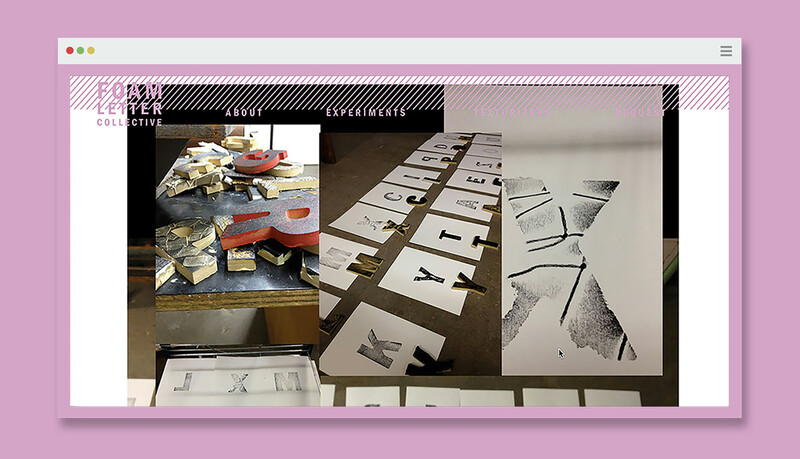 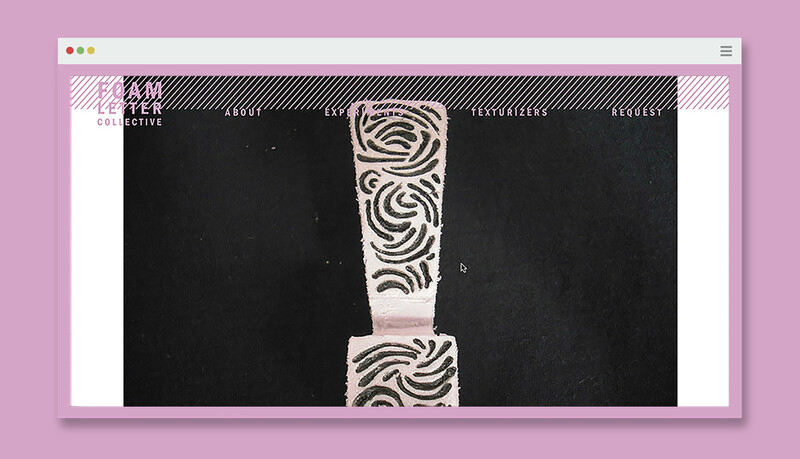 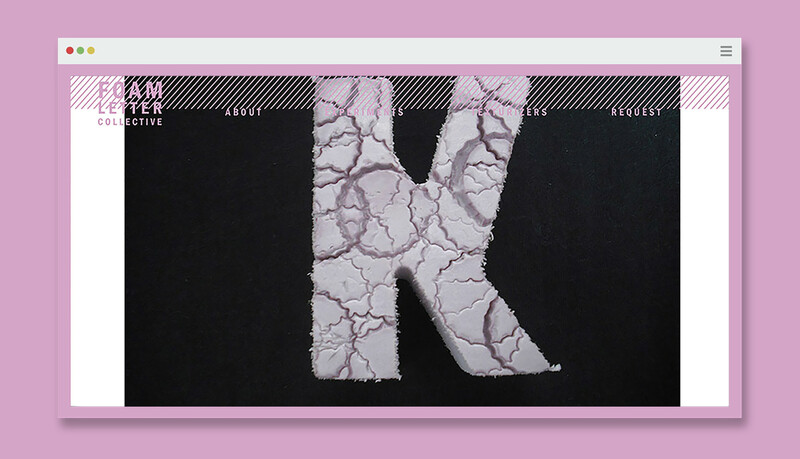 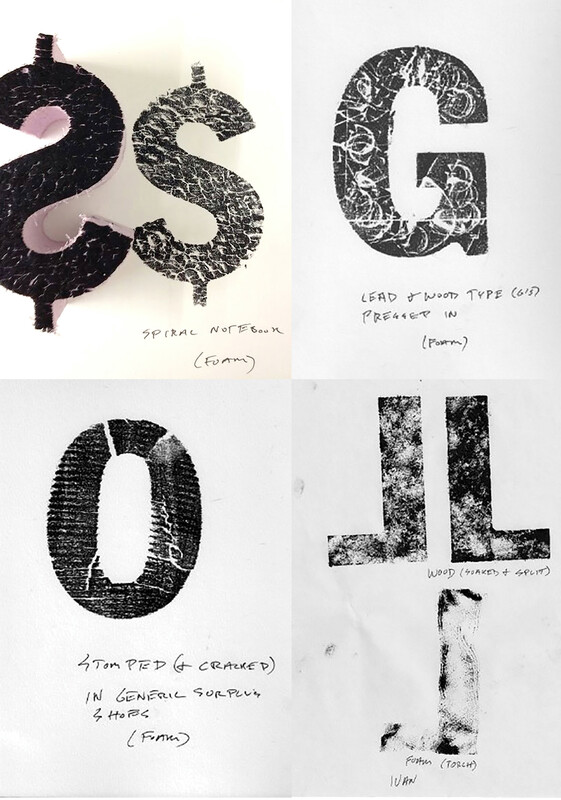 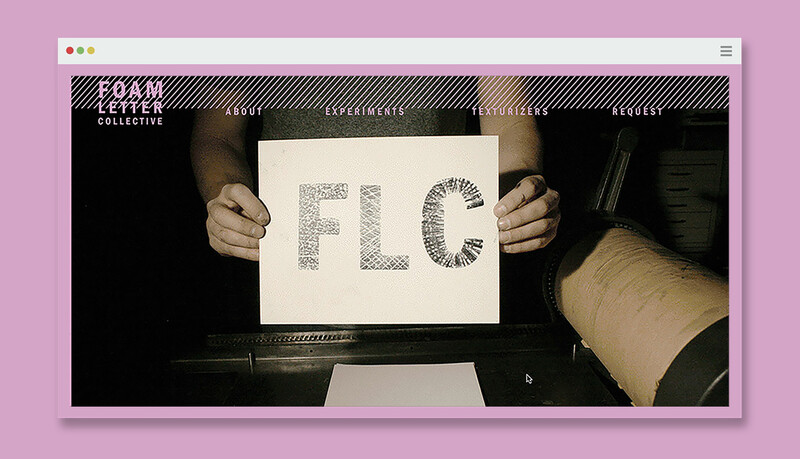 Foam Letter Collective began as an experiment with textures and materials interacting with typography when printed. 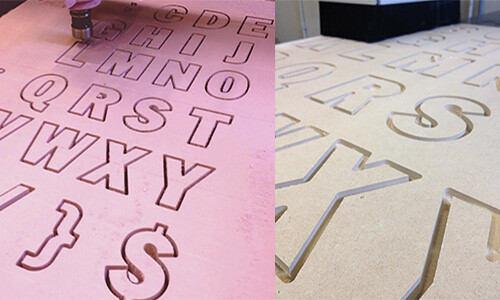 I cut out multiple sets of letterforms out of materials like MDF and pink insulation foam with a CNC router. 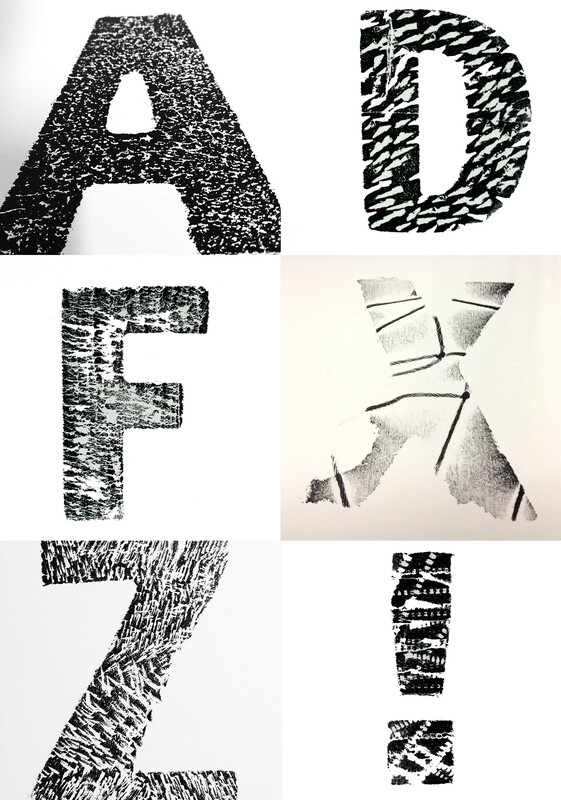 I manipulated the letterforms in various ways and printed with the letters on a proof press. 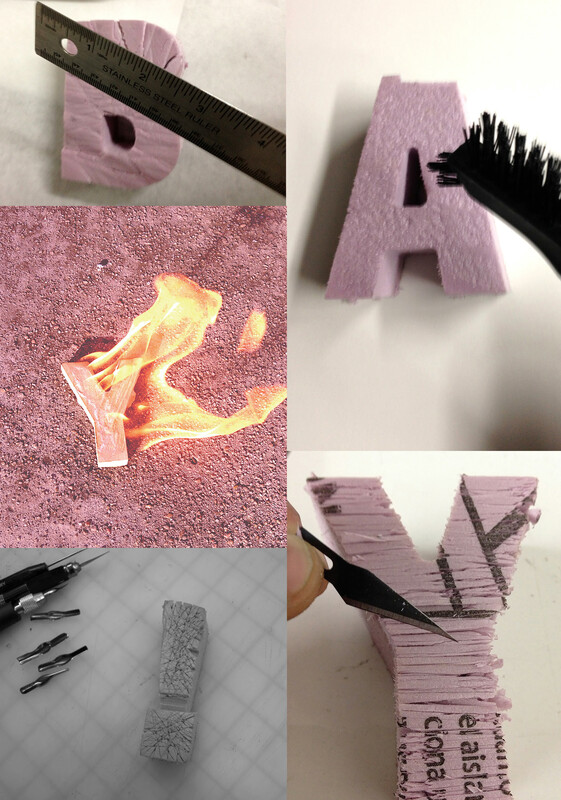 This gradually led to shipping out foam letter kits all around the country to texturize however they wanted. 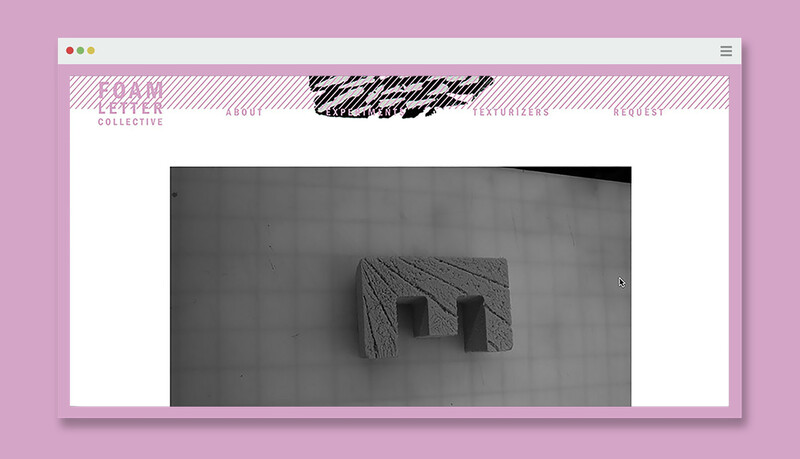 They sent the letters back to me with their own custom textures, along with documentation. 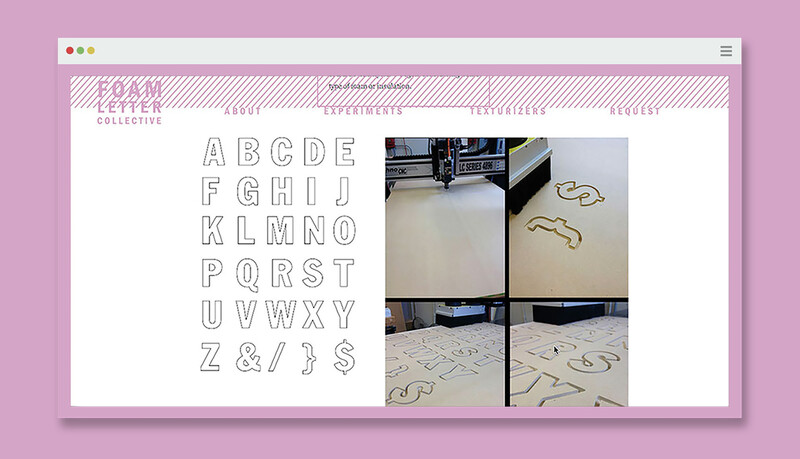 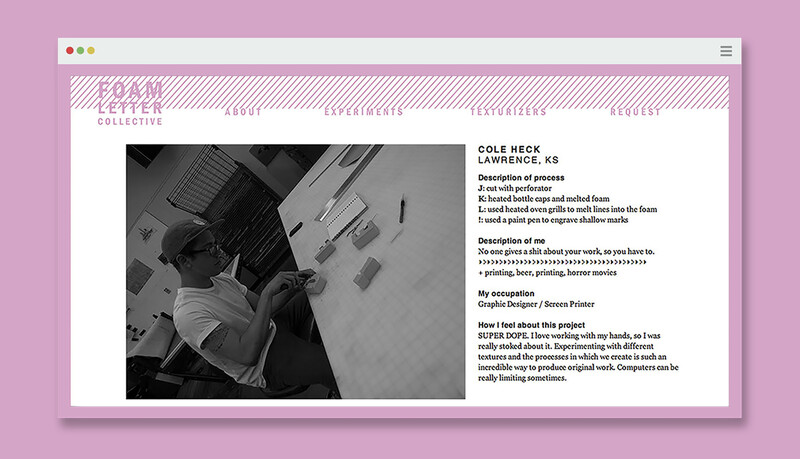 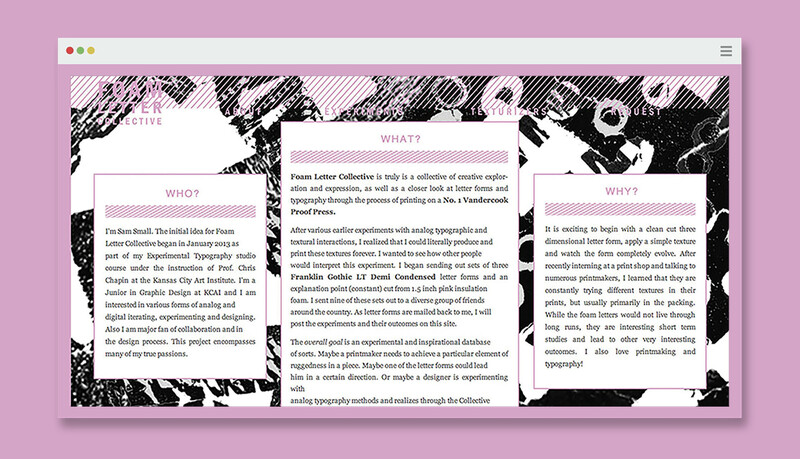 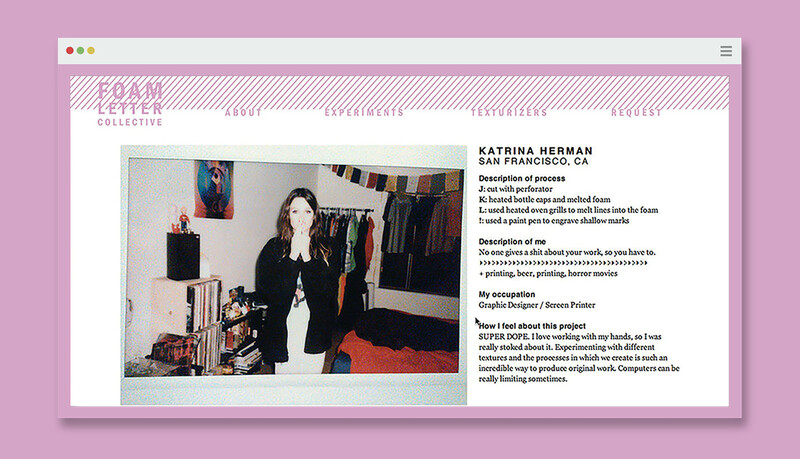 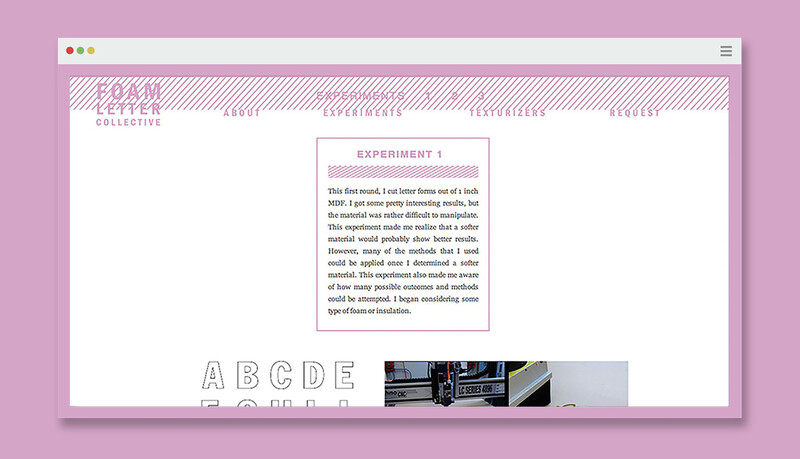 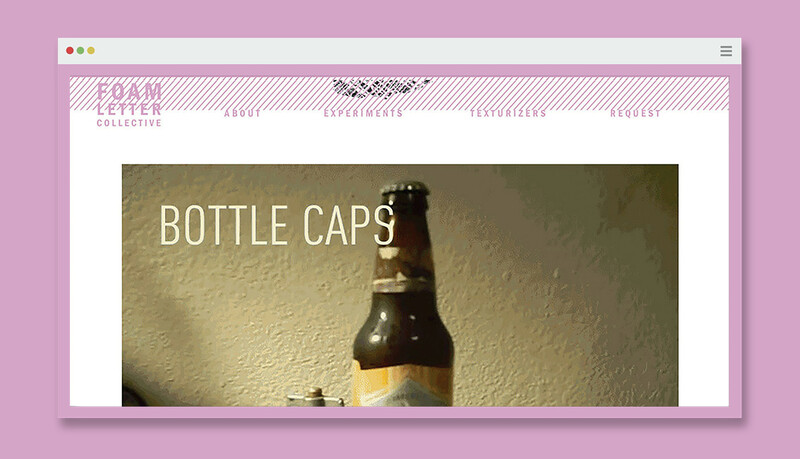 I printed with the letters and documented the process and results on a case study website.